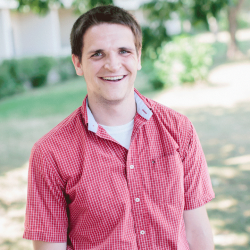 Nate serves on staff as a full-time missionary with Greenhouse Campus Fellowship. His passion is to multiply campus congregations centered on the Gospel, Community, and Mission to reach college students in need of the transforming love of Christ. He currently is part of starting a new congregation called Cornerstone Chicago, near the University of Illinois at Chicago. Alongside ministry, Nate started a small juggling business in 2008 and performs at many venues including Navy Pier and Six Flags. Nate is married and enjoys spending a lot of time with his wife, Sarah.